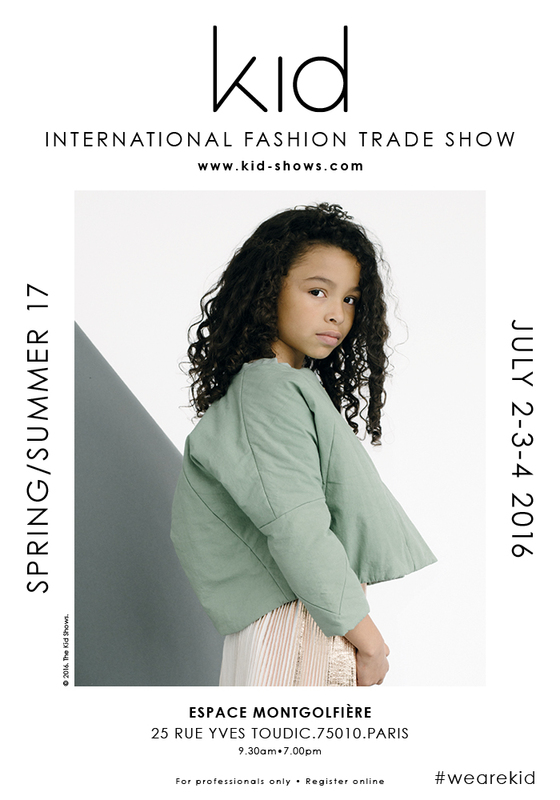 For its 4th edition, KID looks forward to welcome you in an extraordinary venue, a former factory of hot-air balloon, hidden in the heart of Paris. The spirit of this great industrial location, which evokes the relentless work and the adventure, is a unique great invitation to travel. This amazing background is an ideal place to reveal the work of our great selection of international designers. According to the international children fashion calendar, KID will take place from the 2nd to the 4th of July. A 100% Child wear “department store” dreamed by adults for kids. More than 70 brands, selected from all over the world for their style, their identity and their particular values will be participating to this S/S17 edition. The designer’s collections will be showcased on 3 different floors, in the spirit of a department store only dedicated to children fashion. ith a strong, rich and methodical selection, KID confirms its selective position dedicated to the most demanding buyers. Some new and established designers have joined our curated selection in order to attract buyers from both the French and international markets in sake of novelty.